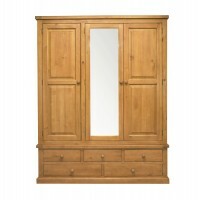 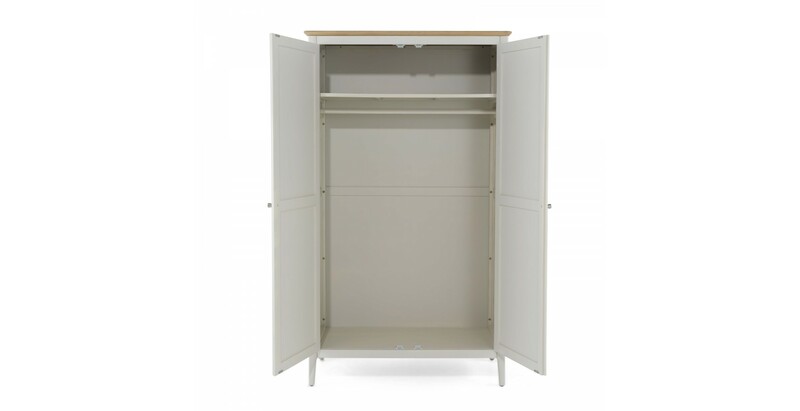 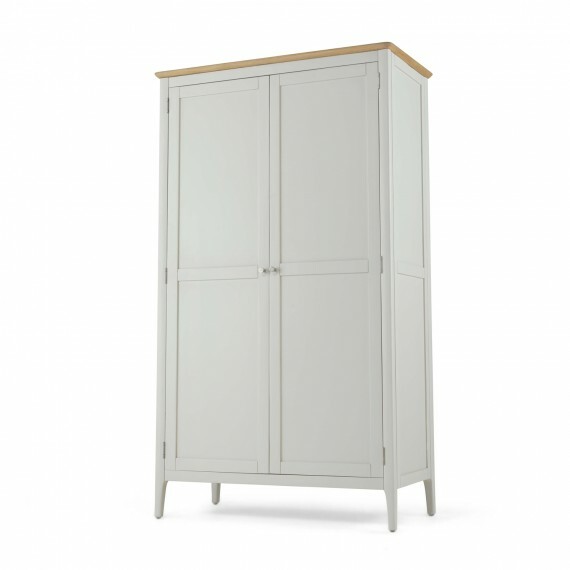 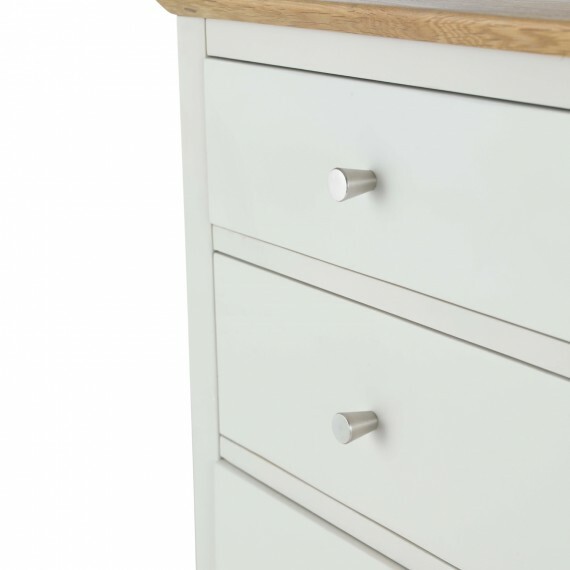 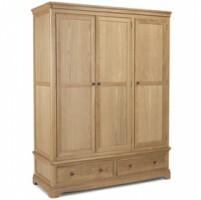 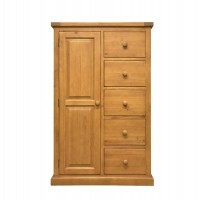 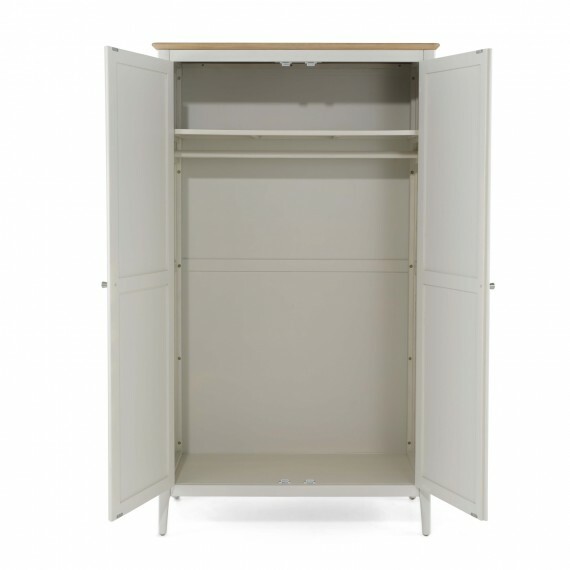 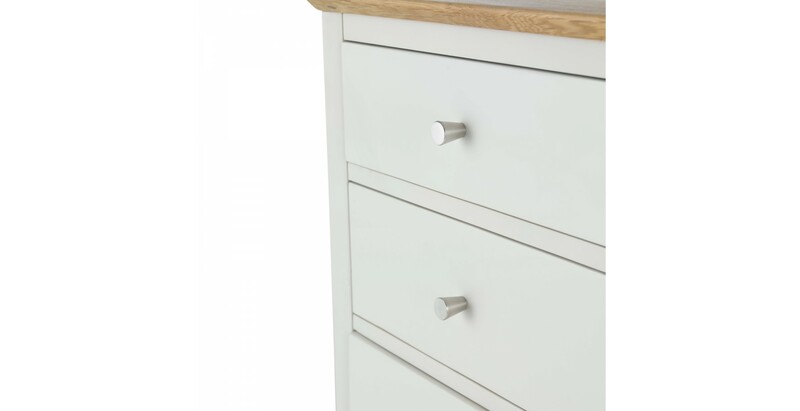 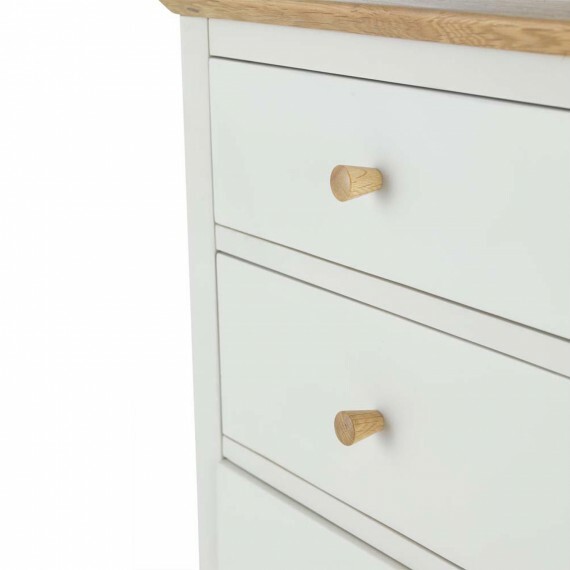 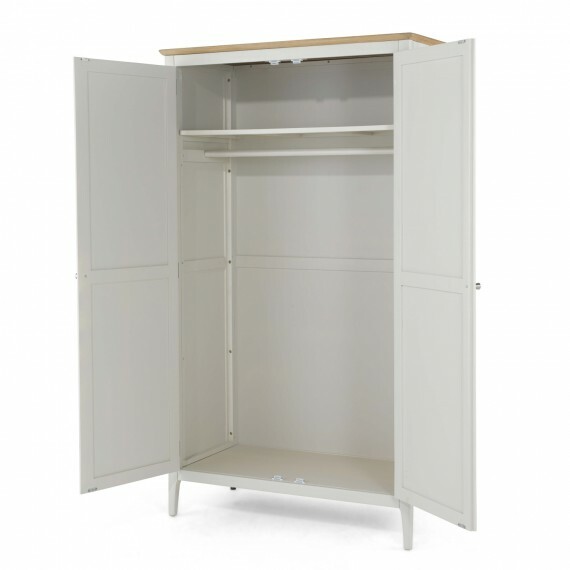 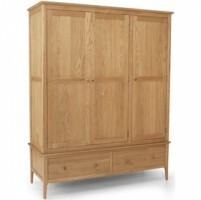 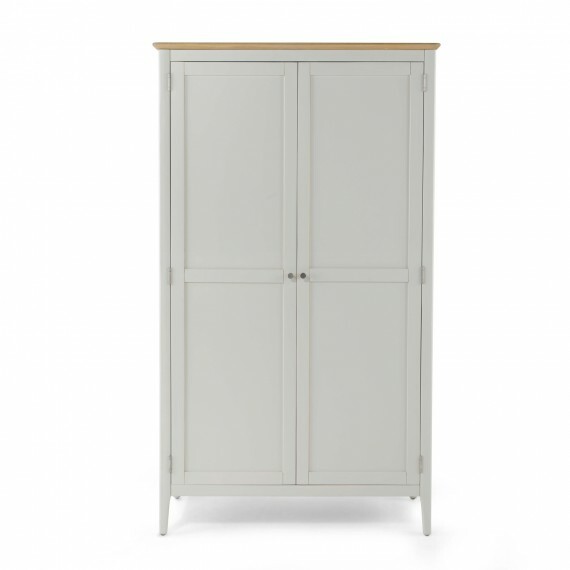 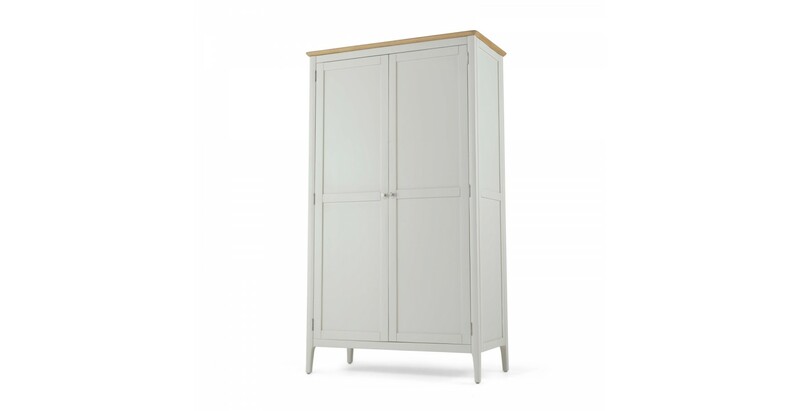 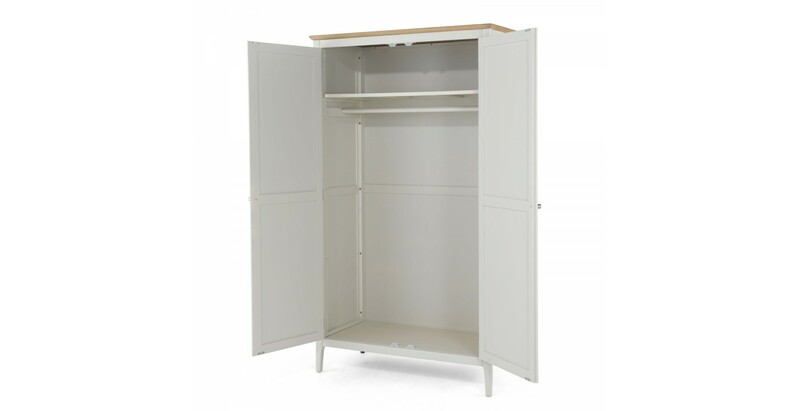 Skilled craftsmanship combined with Shaker-inspired simplicity make this superb wardrobe the ideal choice for traditional and contemporary bedrooms. 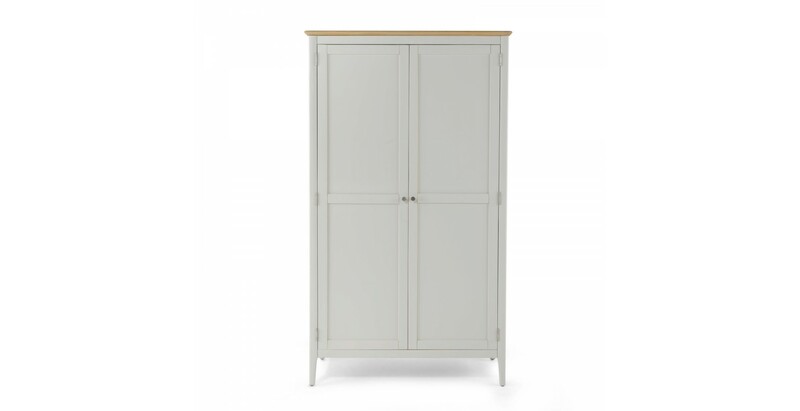 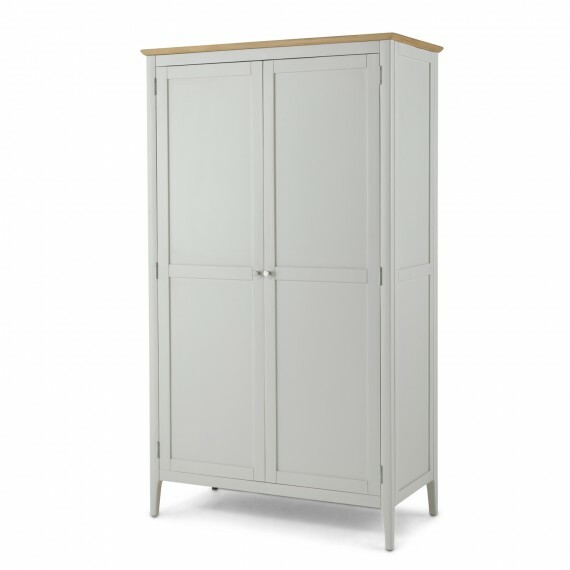 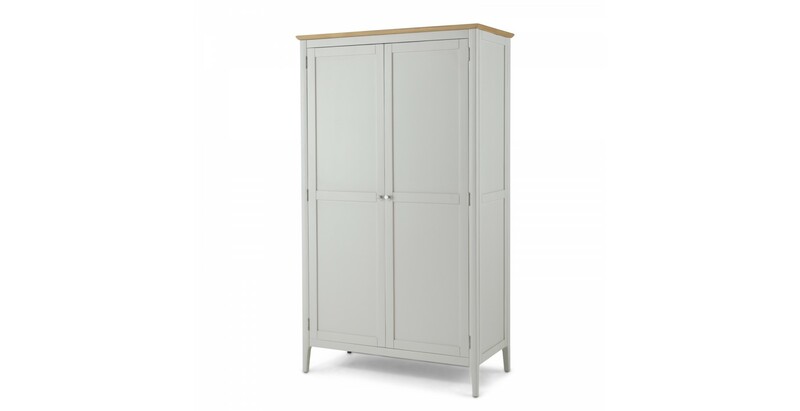 Providing full hanging space behind the double doors, its sleek lines, offset by rounded corners and curved edges, will help it to create the restful atmosphere a bedroom needs, while its pale grey paint finish and waxed oak top will blend beautifully into a wide range of decors. Standing strong on elegant tapered legs, small wooden and metal handles are provided so you can finish it off according to your preference.